Greeting cards for special occasions is a collection of pictures to print and color, which can be used, for example, as a proof of memory. You will find cards for Mother’s Day, Father’s Day, Grandmother’s Day, Grandfather’s Day, Teacher’s Day, Earth Day, New Year’s Day, Valentine’s Day and Halloween. Such a self-colored coloring page will certainly be a beautiful surprise for the recipient and an expression of memory and love. Halloween is one of the oldest celebrations in the world. Its origins date back to about 2,000 years earlier and were first cultivated by the Celts living in Britain. What is more, “Trick or Treat” tradition comes from the medieval custom of collecting food by dressed up poor people in exchange for a prayer. On Teachers’ Appreciation Day (September 5th every year), the most respected teachers in India are usually given tiny Taj Mahal replicas made out of crystal. And Taj Mahal is one of the most famous monuments in India. This day is also the birthday of the former president of this country who bravely defended its education system. In most of the countries, we are used to the fact that the New Year always falls on January 1, while in the Chinese calendar it falls between January 21 and February 20. This is due to the fact that the Chinese use the lunar calendar. In Estonia, there is a tradition of eating 7, 9 or 12 different meals on the eve of the New Year. Estonian believe that eating them can give the strength of the same number of people in the incoming year. And Japanese tradition is to eat long noodles on New Year. They believe that long noodles can provide a similarly long life. Anna Jarvis, who popularized Mother’s Day in the United States, finally condemned the way it is celebrated today. According to her, it has become far too focused on buying gifts and artificial celebration instead of showing deeper feelings. The tie is still the most popular gift given to dads for Father’s Day. Have you ever wondered why the chocolate bunnies sold on the occasion of Easter are empty inside? Well, there are two main reasons. The first reason is saving material. Thanks to the fact that the bunny figurine is empty, they save a lot of chocolate needed to make it, and customers are more likely to buy larger bunnies. The second reason is … security reasons. Larger bunnies, made entirely of chocolate, without empty space in the middle would be as heavy as a brick and in unfavorable peculiar circumstances, you could hurt yourself. 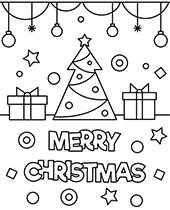 At Topcoloringpages.net you will find greeting cards for every occasion! We have here coloring cards for Mother’s Day, Father’s Day, Grandmother’s Day, Grandfather’s Day, Teacher’s Day, Earth Day, St. Patrick’s Day, Easter, Christmas, and even Halloween. Print and color pictures that will be a lovely addition to your gift or a gift itself straight from the heart. You can also color these pictures for your own fun. 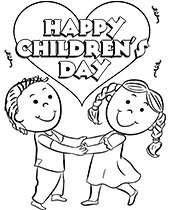 Greeting cards coloring pages are a good choice for any special day of our calendar. And the included trivia will definitely surprise you. We invite all children and their parents to relax here. Coloring cards for print are waiting in excellent quality.